Sources say Germany has approved MoU for the sale of three submarines to Israel. 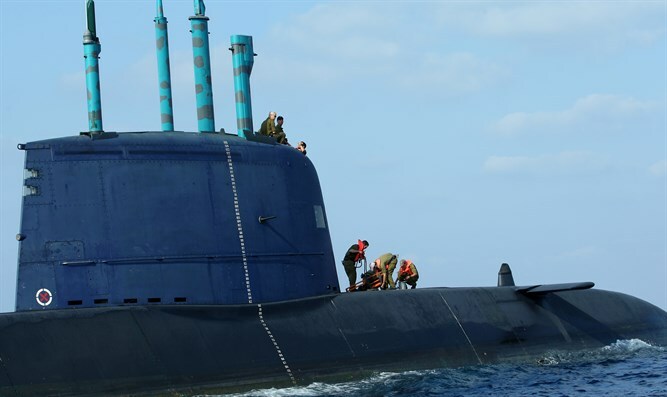 The German government has approved a Memorandum of Understanding for the sale of three submarines to Israel, Israeli sources revealed on Friday. The sources said the MoU is likely to be signed by both sides in the coming weeks, despite an ongoing investigation in Israel into the deal. In July, Germany put off the signing of the MoU following the arrest of several Israelis on suspicion of offenses, including bribery and money laundering, around the deal to buy the Dolphin submarines from German industrial giant ThyssenKrupp. The investigation was launched following a Channel 10 News report from last year which claimed that that there was a conflict of interests for attorney David Shimron, who is Prime Minister Binyamin Netanyahu's private lawyer, and also represents ship builder ThyssenKrupp’s representative in Israel, Miki Ganor. Shimron has been questioned in the investigation. Netanyahu himself is not a suspect in the case. While Germany stressed on Friday that an agreement had not been finalized and signed, Israeli officials implied it was a done deal. "The Germans have given their approval to the deal," an Israeli official familiar with the issue said on condition of anonymity, according to AFP. Germany, however, stressed that the deal on the three submarines "is not yet signed." Recent, unconfirmed reports, said the submarines ordered by Israel are likely to be equipped with nuclear missiles.